Many know Lyonel Feininger as an accomplished painter, printmaker, and caricaturist whose work is forever linked to the Bauhaus movement. He was Walter Gropius’s first faculty appointment to the Weimar art school in 1919, and he helped shape an artistic movement that would influence artists for decades to come. Despite Feininger’s fame within the Bauhaus, few know of his work in photography, which is on view through March 11 in the exhibition Lyonel Feininger: Photographs, 1928–1939. Two of his three sons, Theodore (nicknamed T. Lux) and Andreas, also became well known for their photographs, and a family legacy was born. The Feiningers captured a special time and place in art through their photographs, and I’ve been lucky to learn more about this fascinating family. The Getty Museum recently acquired 72 photographs by Andreas Feininger from the estate of Gertrude E. (Wysse) Feininger, allowing the work of all three to be temporarily joined at the Museum. 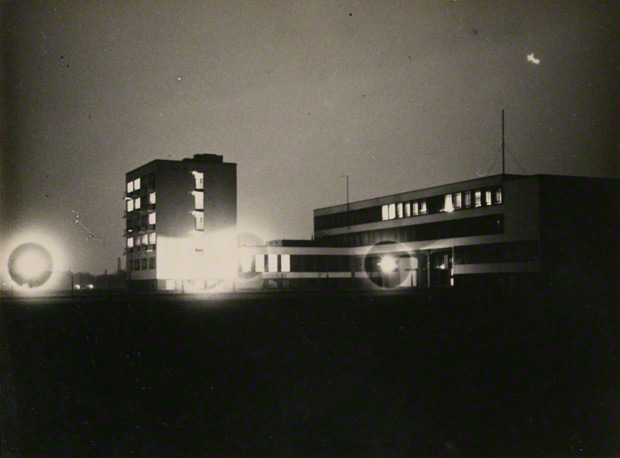 Lyonel’s early work includes moody nighttime shots of the Bauhaus building and the surrounding area. 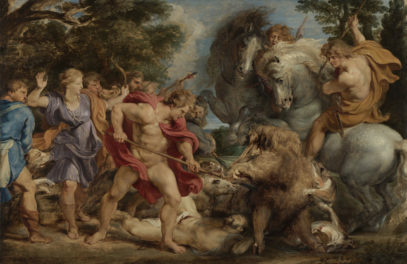 His photographs were not publicly exhibited because of the objections of his wife, who encouraged him to promote his career as a painter instead. 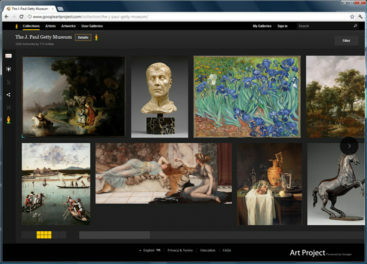 Below (and at the top of this post) are two of these early Bauhaus views. 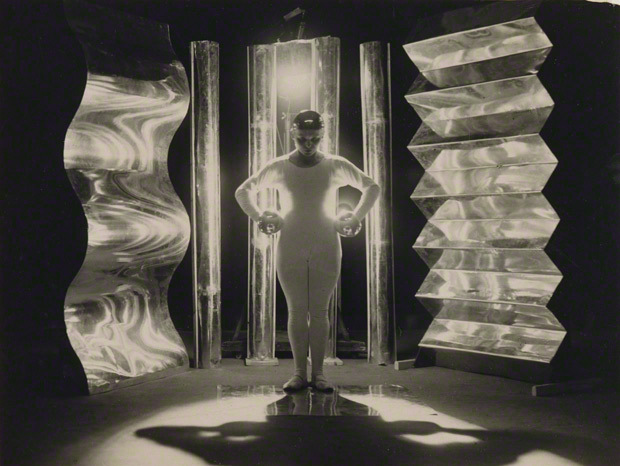 In sharp contrast to his father’s work, Lux’s photographs of the Bauhaus, some of which are on view in the current Lyonel Feininger show, provide an invaluable record of the exuberant spirit that students brought to life and leisure. 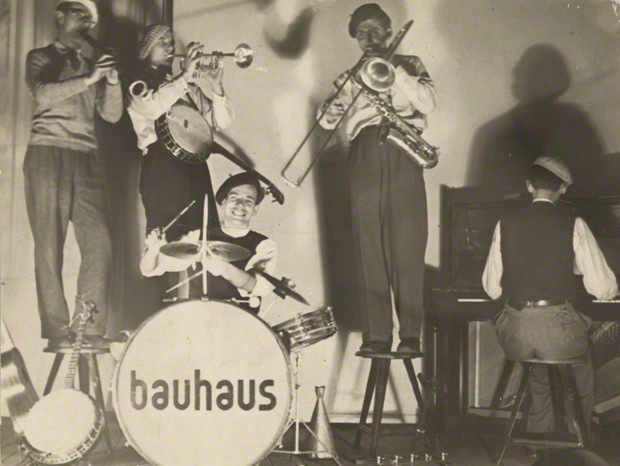 His photos depict the Bauhaus at play—the performance of the Bauhaus jazz band, group outings, and funky experimental shots of Metropolis-like scenes. Lux eventually chose to pursue photography for personal enjoyment only, and in 1953 he stopped working in the medium altogether to focus on painting and teaching. 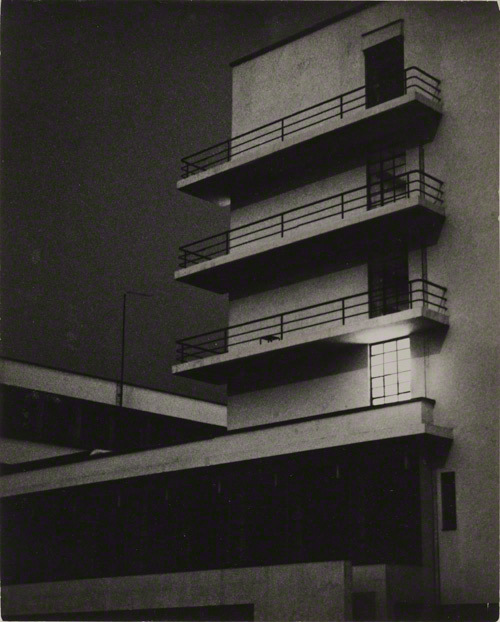 But his photographs of Bauhaus life remain as important historical documents of a radical time in art and design. 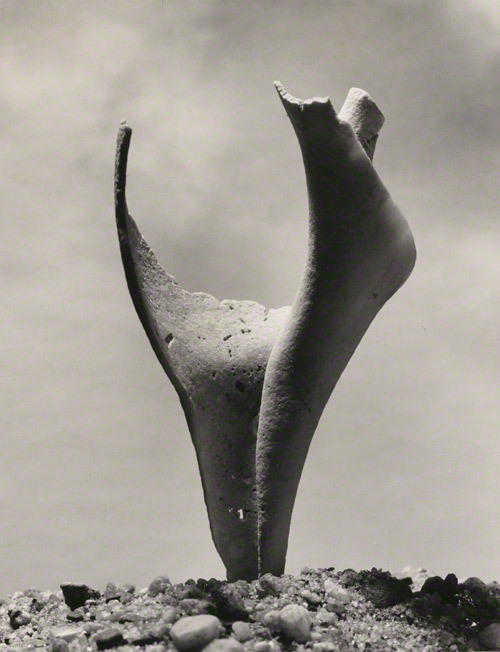 Andreas Feininger’s work moved in a different direction from his father’s and brother’s. He began his career as an architect but soon took up the camera, making photography his lifetime career. He worked for LIFE magazine for 20 years, and completed a number of notable projects, including his 1942 documentation of weapons factories for the U.S. Office of War Information. 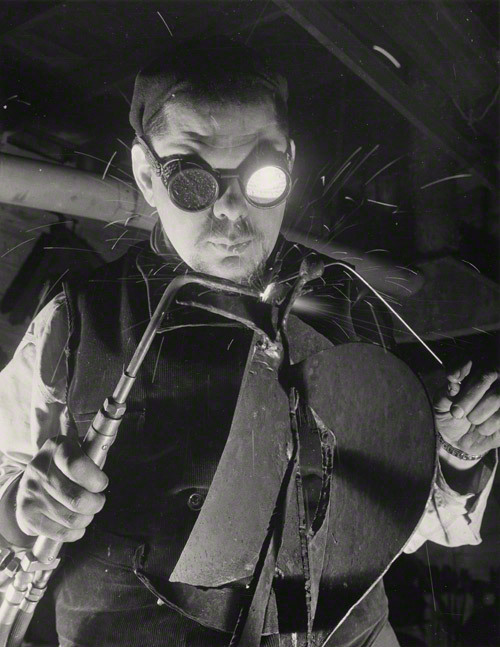 Below are Andreas’s photo of sculptor David Smith and one of his well-known nature photographs. One of the most important things I’ve learned while studying these photographs is that the Feininger family had a deep affection for one another, and supported one another’s endeavors. Their family outings on the Baltic Coast, which were documented in photographs by Lyonel, Lux, Andreas, and a third son, Laurence, show a happy, playful family that just happened to be made up of spectacular artists.